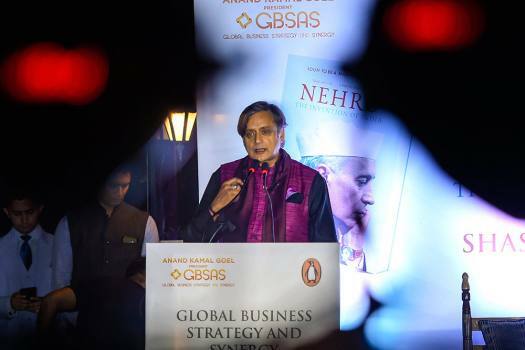 Congress MP Shashi Tharoor addresses during the launch of his book 'Nehru: The Invention of India' launch event, in New Delhi. 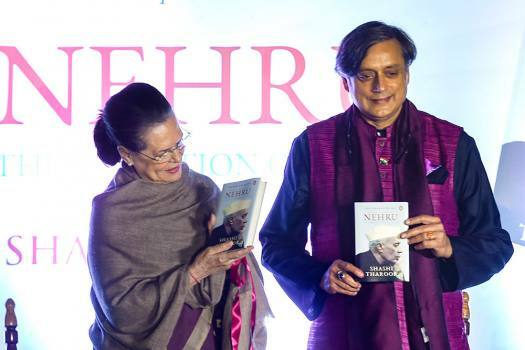 Former Congress President Sonia Gandhi with Congress MP Shashi Tharoor during latter's book 'Nehru: The Invention of India' launch event, in New Delhi. Students pay floral tribute to Pt. 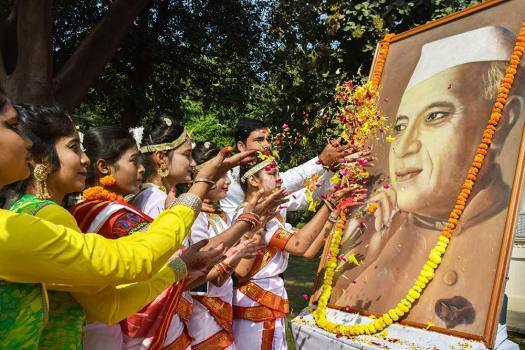 Jawaharlal Nehru on his 129th birth anniversary, celebrated as Children's Day (Bal Diwas), at the historic Anand Bhawan in Allahabad. 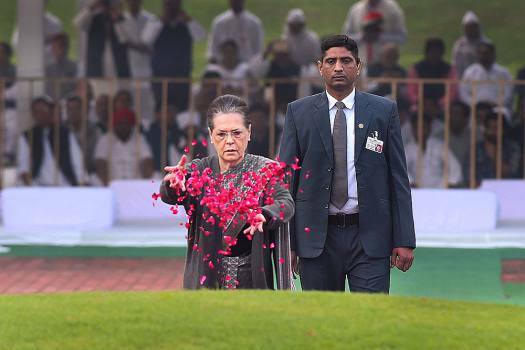 Former Congress President Sonia Gandhi paying homage to Pt Jawahar Lal Nehru on his 129th birth anniversary at Shanti Van in New Delhi. 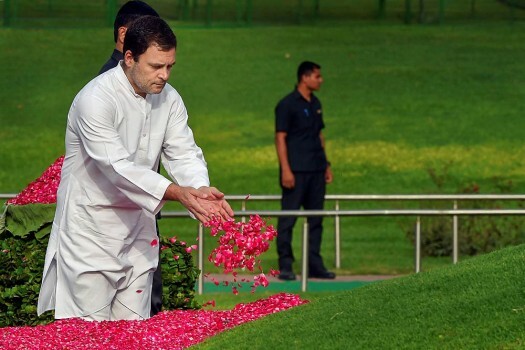 Congress President Rahul Gandhi pays tribute to India's first prime minister Pandit Jawaharlal Nehru on his 54th death anniversary, at Shanti Van, in New Delhi. 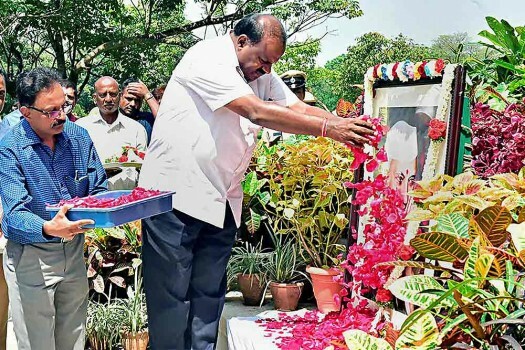 Karnataka Chief Minister H D Kumaraswamy pays tribute to India's first prime minister Pandit Jawaharlal Nehru on his 54th death anniversary, in Bengaluru. 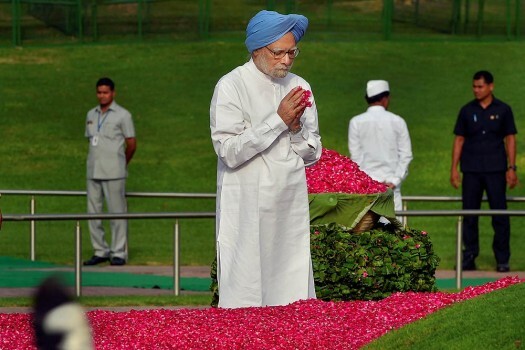 Former prime minister Manmohan Singh pays tribute to India's first prime minister Pandit Jawaharlal Nehru on his 54th death anniversary, at Shanti Van, in New Delhi. 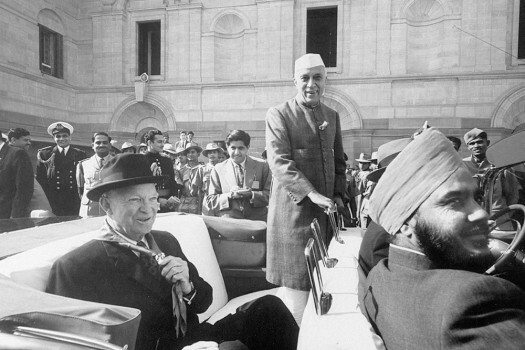 ...[Nehru] died at the precise moment when the Sheikh [Abdullah] set foot in Muzaffarabad. 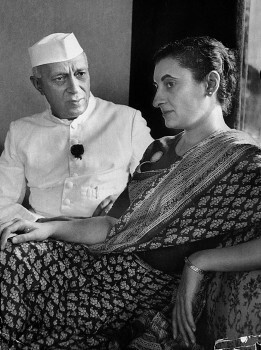 The thought uppermost in my mind was that the capital of Pakistan-held Kashmir was not the best place to to be in at the time of Nehru’s passing. But what followed stunned me. The huge crowd that had assembled to welcome Sheikh Abdullah instantly turned into a mourning mass. 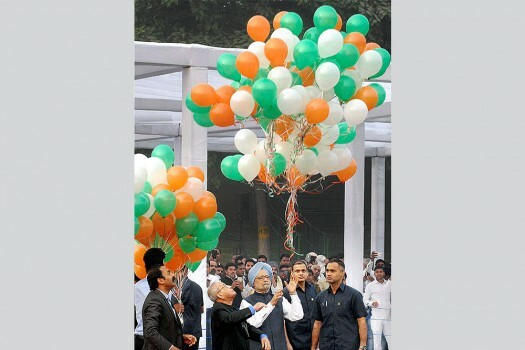 Every man, woman and child, hands raised skywards, was praying for Nehru. Some of them were crying. No one touched the elaborate wazwan laid out. Suddenly, there was commotion at a short distance. A tall man was shouting my name, beating his head with both his hands and cursing his “black tongue”. 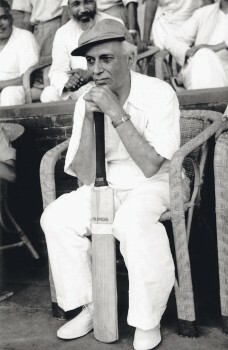 It was Hafeez Jullundari. As he apologised to me profusely, Sheikh Sahib arrived to calm him. Instead, the two embraced each other and sobbed. 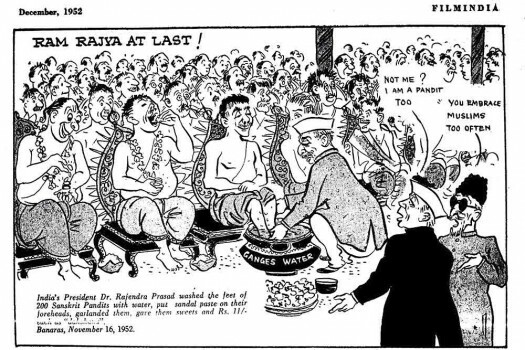 Nehru got greatly depressed. What “filled him with dismay” was the selection of Congress candidates that he described as “disgusting”. 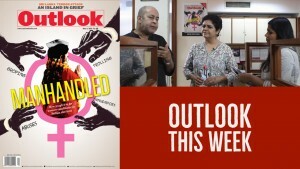 What got his goat were the “cliques”, “bossism”, the “scramble” and “lack of organisation”... To Edwina Mountbatten he wrote: “More and more I hate this election business, more especially the choosing of candidates... ” ... that the Congress could hardly talk of principles when so many of its members were “snarling” for selection and “third-rate individuals were being chosen on grounds of caste and sub-caste. I have felt recently as if I was in a den of wild animals”. Kashmir remained an unresolved issue only because former Prime Minister Jawaharlal Nehru tackled it in the wrong way, leading to Pakistan indulging in terrorist acts, BJP President Amit Shah said on Thursday in Andhra Pradesh. The yoga-guru-turned-entrepreneur said politicians should embrace the ancient way of exercise to remain stress- free. 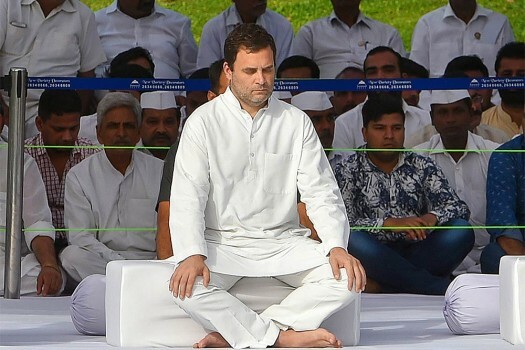 Baba Ramdev claimed that yoga was the reason Jawaharlal Nehru and Narendra Modi became prime minister, noting that Congress president Rahul Gandhi is also a yoga enthusiast. Leaders across party lines paid tributes to Jawaharlal Nehru, the first prime minister of India, on his birth anniversary. 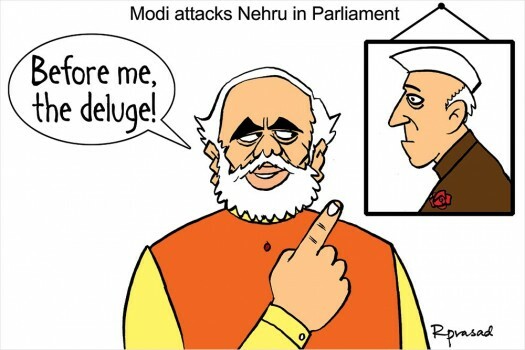 Speaking at an event in New Delhi, Shashi Tharoor said it was because of former prime minister Jawaharlal Nehru that a 'chaiwala' is the PM today. 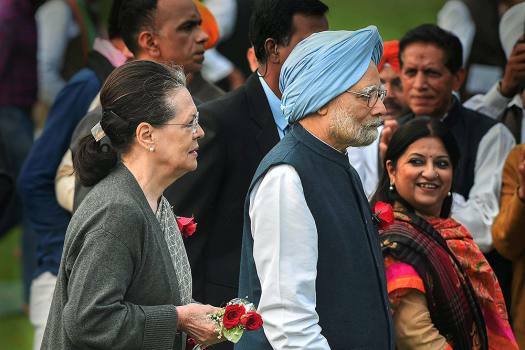 The Congress vehemently opposes setting up a museum for all former prime ministers in the Teen Murti Bhavan complex, saying it would dilute the legacy of India’s first PM Jawaharlal Nehru. 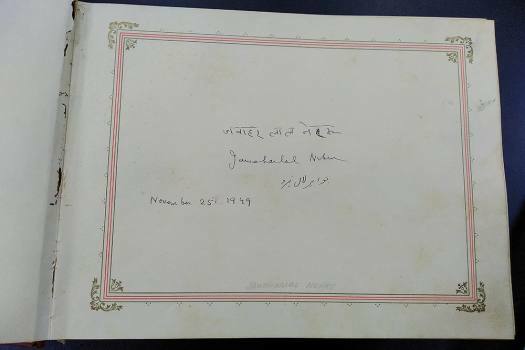 The NMML at the Teen Murti Bhavan was set up in the memory of the country’s first prime minister Nehru as an autonomous institution under the Ministry of Culture. Nehru Jacket Or Modi Vest: Which One Are You Wearing Today? 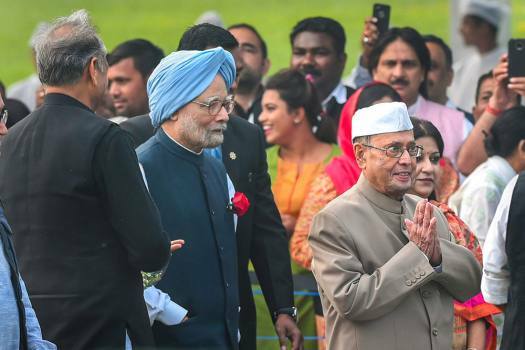 The proposed museum which will showcase the lives of 14 PMs, including Narendra Modi, will change the NMML’s character which is known for its academic excellence, says former PM Man­mohan Singh.